It seems that every changing season brings its own set of insecurities. And summer is no exception. ~ Some of us worry about squeezing into a bathing suit and facing a world full of judging stares. ~ Others get feelings hurt when party invites don’t find their way into email in-boxes. ~ Some lack the confidence to fill the summer with fun activities for their kids. ~ And others bake in jealousy because they don’t take the cool vacations like other families do. Sometimes we get tangled in old behaviors at family reunions. It’s easy to get knotted up in unrealistic expectations when we can’t keep up with laundry or other chores. We can even feel like a “bad” Christian for struggling to find time and space to connect with God. Those tangles leave us feeling like we’re not measuring up in places we should — places we usually do. Truth is, summer can be a whole new trigger to make us feel worthless. 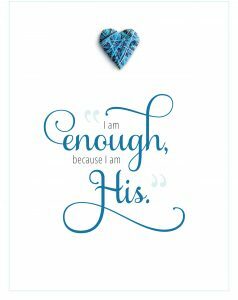 We often unwillingly embrace the guilt and shame that comes along with the “I’m not good enough” feelings. Yep. I get it friend. Been there. Done it. Bought the stinkin’-stupid T-shirt. But I want this summer to be different. You, too? Instead of seeing the dirty dishes and laundry piles as signs of failure, choose to see them as visual reminders that you’re wringing every ounce of fun out of summer. Like the song goes… Let. It. Go. Choose to not live the offended life. Don’t over-analyze the words or actions of others. Instead, decide to believe their heart for you is good… and ask God to untangle yours… so your heart can be good for them, too. Give yourself grace for not being perfect. Go out and rock that swimsuit. Who cares what others think. And for Pete’s sake… take the pressure off making this #TheBestSummerEver for the kids. 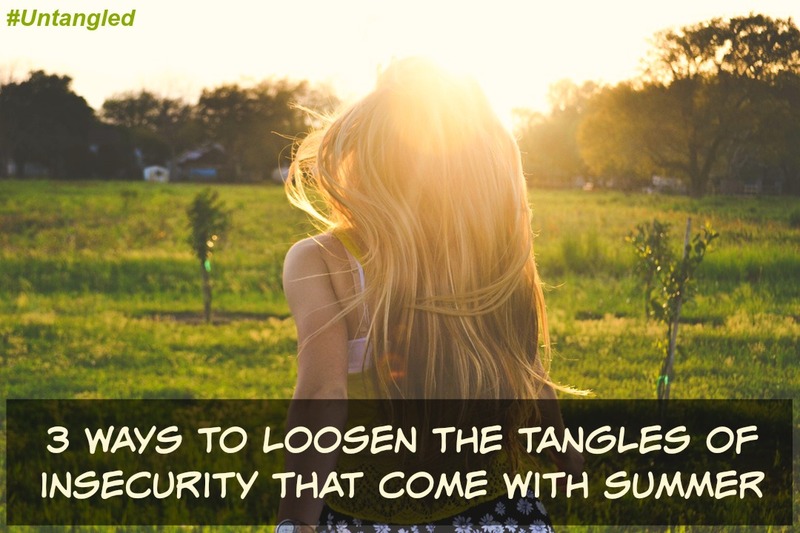 But don’t forget that in the mix of these – and most importantly – ask God to loosen those knots that are tangling you up. Because friend… your best efforts are good enough. But God is the only One who can loosen those knots and untangle your summer. Thank you bringing up this issue! Summer has brought forth a whole new set of tangles that I am “excited” to have the Lord guide me through. The standards for summer vacation are vastly different than when I grew up and the pressure now days to be educational, fun “mom”, and constantly entertaining is exhausting. I recently listened to a sermon from Bethel and the speaker talked about our definition of success. Her first point was – we can measure our success by – did we love well?! Wow – now that just shifts my summer party planner mentality. God’s standard of success is shown in 1 Cor 13:1-2. We can do all these amazing things (prophecy, feeding the poor, etc..) and if we don’t have love it’s nothing! I can do everything to help make my kids summer perfect in the worlds eyes but if I am missing love it’s for nothing. 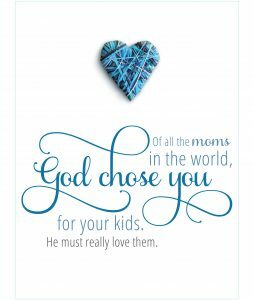 I am choosing to jump out of the rat race of perfection for summer cruise director and focusing on loving my family above entertaining them. Jeanelle… it really is all about love isn’t it? 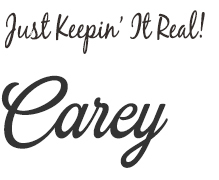 Carey your words sure help me for this summer. I’m a heavy person and always feel so insecure in my self. I’m always worried what people are saying when they see me. I clean all the time I guess I figure if I can’t control things in my life at least I can control my house and keep it clean. I just got done reading your book untangle and I pray that God will do just that for me as well. I’ve been so deeply hurt most of my life and want to be set free! Thank you so much for all your help and hope that I have found in your words. Jesus is my savior and I love him so much I just need to let go and let him help me and trust him more.